OrKidstra is a social development program that empowers kids from under-served communities by teaching life skills – such as teamwork, commitment, respect and pride in achievement – through the universal language of music. 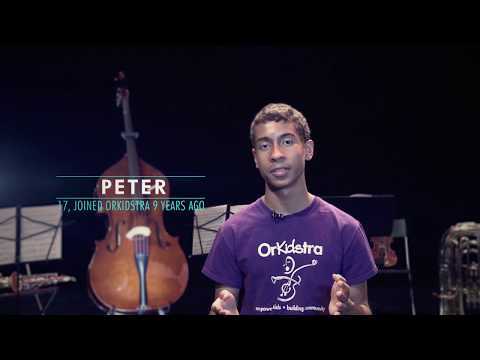 With the passionate belief in the transformative power of music, OrKidstra started with 27 children in 2007 and now includes more than 700 children, ages 5 to 18, from over 62 linguistic and cultural backgrounds. We carry out this mission by providing children from low-income families with free group and individual music lessons and the chance to learn important life skills like respect, compassion, teamwork, and responsibility through playing and singing together. When you donate to OrKidstra, you help create a future where all children and youth have the opportunity to find their voice and build their potential through music. We are proud to say that 100% of donations from individuals goes directly to programming!